The telecommunications industry is constantly changing and can be frustrating, time consuming and unnecessarily expensive. As your trusted advisor and telecom advocate, we can help your business strategize, source and implement the best carrier services solution for your business. We can help you decide between a premise-based PBX and a cloud-based solution and make sure that the services you order are compatible. Our primary goal is to ensure that you, our customer, has a positive experience and receives the best possible solution for your business objectives. We will be your single point of contact for ordering and implementing all carrier services. FIBER—Voice Lines—PRI—SIP—Large Bandwidth—Cable Broadband—Number Porting—VoIP and more. Organizations operating in multiple geographic locations require employees, clients, and vendors to function efficiently on a single reliable network. Wide area networks (WANs) empower remote employees to communicate and collaborate securely under one network, as if located within the same office. 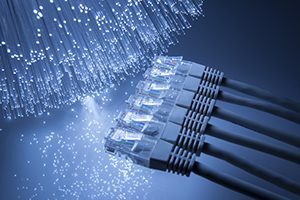 Less expensive and more numerous bandwidth options have significantly changed WAN technology. MPLS, VPLS, EPL, Broadband, Wireless and point-to-point. All serve a specific purpose for organizations today, and each has strengths and weaknesses depending on the needs of the organization. Both premise based PBX systems and hosted systems require connectivity to function. SIP Trunking connects your phone system to an external network that provides the features and applications that businesses need. SIP is usually less expensive and relies on Internet access to work. Using SIP offers greater consolidation of your services, including data and voice into one bill with a single point of contact. Companies need faster and higher quality Internet access to conduct business in today’s online environment. Medical offices are transitioning to electronic records, many companies are moving to the cloud and most businesses are increasingly wanting mobile worker options. All of these require adequate Internet access to be successful. Sometimes DSL or Cable Broadband is good enough. Other times a larger and more robust connection delivered on fiber or wireless is required. Each technology brings unique strengths and weaknesses depending on the location of your business and the service options available in your region. Whether using a PBX or hosted PBX your business requires some kind of voice services. PNT supports and provides legacy business lines, DID numbers, PRI, toll free numbers, virtual numbers, and SIP Trunking. Whether changing providers, upgrading services, moving locations or simply starting a new business, PNT will help provide the right options for your company.